Find a vacation home to rent in Attica from our list of vacation rental properties. Campaya has over 15 vacation homes available in Attica, which give you the possibility to locate a unique accommodation in Attica which completes your check-list in search for the perfect self catering vacation apartments in Attica or vacation villas in Attica. A tastefully decorated holiday house, fully equipped to make your holidays as relaxing as they should be. This modern and stylish holiday home is situated in Aigina, which is one of the most popular and idyllic islands of the Saronic Gulf. This little cozy Campaya house, is located 70 km from Athens city center at the area of Kalamos. This cosy pool villa is just 20m from the Prosily beach at Porto Germeno, in the bay of the Gulf of Corinth. 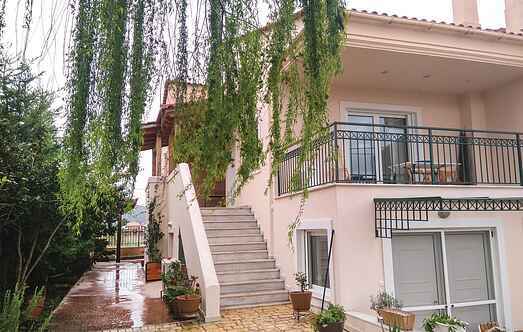 This two floor holiday villa is situated on Aegina island, in the Argo Saronic gulf.The house is cosy, warm and well equipped to make you feel like home. Magnificent villa on 3 levels with special architectural construction, planted with trees in a quite area, in the beautiful coastal town of Porto Rafti. Situated on the second floor this cozy small apartment is only 400m from the beach. Artemida is a seaside area very close to Athens and the airport. This vacation rental is in a complex of 5 houses in the area of Sounion. It offers beautiful sea views and a pleasant garden, as well as 2 bedrooms, a nice living room and an open kitchen. This modern and stylish villa is wonderfully located in Aegina: one of the most popular and idyllic islands of the Saronic Gulf.